In recent years the technological advances in the EV market have allowed passenger, specialist and commercial electric vehicles to become a practical, everyday reality for both consumers and industry alike. As with any new innovation, there are entirely new challenges when applying the ideas of tomorrow into the infrastructure of today. The challenge only gets tougher when EV technology is assimilated into commercial or specialist vehicles, due to the unique requirements that each type of vehicle demands. So how are engineers designing vehicles that overcome some of the inherent challenges that commercial and specialist EVs present? When you break down how a diesel or petrol vehicle is refuelled – an untrained consumer pours highly toxic, flammable liquid into a small opening at first, it could have been considered a risky and hazardous process, however now, drivers don’t need to consider the risk. This process has been carefully designed to be safe, simple and convenient. At present, the same process is being undertaken in the EV market, for EV engineers making the charging process as safe and normal as the current refuelling process is imperative. There are undoubtedly hazards involved with connecting high voltage cables from charging station to vehicle and passing power between intra-vehicle systems. So how is this be made as safe as possible? Just as with liquid refuelling before it, plug-in charging solutions need to be just as safe for untrained consumers. But it is not just the cables and connectors between the charging station and the charging port that are responsible for mitigating risk. Components such as ground monitoring systems detect residual currents to prevent electrical shocks. Relay diagnostics scan for missed connections and open contacts, while an overcurrent system protects against short circuits. Until now, driving has been a somewhat analogue pursuit that relies on a driver’s abilities to read both the road and their vehicle. But now EVs are harnessing intelligent systems to enhance the overall driving experience. While we are still some way away from fully automated driving (and even further away from machines taking charge of specialist vehicles), technology is available now to accurately analyse a vehicle and even road conditions in real-time, providing immense value to drivers and other stakeholders. Some of today’s electric vehicles boast connected components like sensors and responsive systems, like collision avoidance systems, that work with the driver for a safer, more comfortable drive. Brake sensors, for instance, will measure speed and terrain to help a driver apply the perfect amount of force dependant upon the road conditions. There are now even humidity sensors that designed to improve performance, reduce energy consumption, and increase safety in environments where small variations in temperature can make all the difference. Beyond that, sensors now offer live analytics to help drivers make informed decisions on everything from how speed and terrain affect a vehicle’s range, to the behaviour of other motorists around you. These features could have a significant impact on industrial vehicles, such as haulage trucks that need to know how changing cargo levels are affecting vehicle range, or what the chances of you overtaking a nearby vehicle might be. The nature of specialist vehicles means that each new design will come with its own demands. Often the challenge centres around maintaining connectivity between battery cells and components. In tough automotive environments where vibrations, terrain or weather could cause micro-separations between connected vehicle components. Selecting high-quality components that are capable of withstanding these conditions is critical to maintaining the effectiveness of the vehicle. 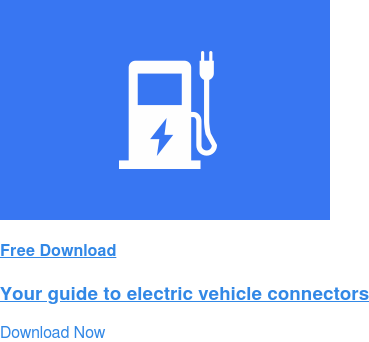 Passenger EV manufacturers have already rolled out a wide range of solutions to prevent such instances, such as smart connector systems that are designed to withstand high voltage environments where safety could be a concern. Shielding is implemented in connectors to help maintain connectivity. Layers of specialised material that protect connections from any interference that are being caused by temperature or even touch thus ensuring power and data can be reliably transferred throughout the vehicle. With regards to shielding, the more powerful that EVs become, the higher voltage they run on, and with this comes an increased risk of electromagnetic interference. Engineers now have to have a plan for EMI-mitigating solutions as a foundation of EV manufacturing, using ever-evolving materials to prevent the signals of any one component from interfering with another. Today’s headers and connectors are already robustly designed to safely deliver high currents and voltages with shielding that will prevent EMI – and this trend is only set to continue. This is an incredibly exciting time in the electric vehicle market, as its rise to prominence is not only dependent, but itself founded, on innovation and the practical application of groundbreaking technologies. As such companies, are finding new solutions on an ongoing basis that will ensure electric becomes the power source of the future.